We worship every Sunday at 10:00am, with additional services at Christmas and Eastertime. 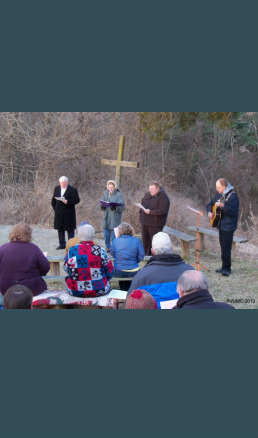 Every service is a mixture of traditional prayers, written responses, prayers and announcements from the congregation, readings from the Bible, music and the Pastor's sermon. Communion is served on the first Sunday of every month. 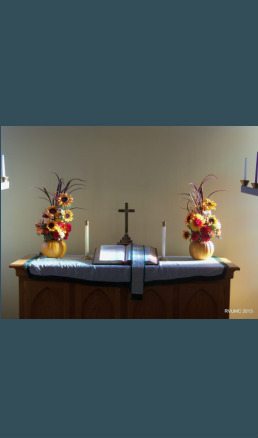 We love to sing and use the United Methodist Hymnal, a supplemental music book (The Faith We Sing) along with special music from our choir and other members of the congregation. We think children belong in the sanctuary with everybody else, though sometimes they don't seem to think so. A nursery room is available with audio sound of the Worship Service if your child needs a break from sitting still. On Monday mornings at 9:00, the church is open for prayer and reflection. We look to develop other services during the week.